Manish Pandey hit 79* and Dhoni hit 52*, adding 98 runs for 5th wicket. South Africa and India met at Centurion in the second T20I of the three match series. Despite a heavy rainfall, which washed away the Women’s T20I after 15.3 overs, things became normal and we got to see a full 20 overs per side match. JP Duminy won the toss and decided to bowl first under the overcast conditions. India had just one change as Jasprit Bumrah went out due to stiffness and Shardul Thakur replaced him and made his T20I debut. The first over bowled by Chris Morris saw Shikhar Dhawan being given out LBW, which was overturned by DRS and the over was a maiden. Junior Dala then removed Rohit Sharma LBW for a first ball duck. But Dhawan cut loose in the 3rd over, carting Morris for 2 sixes and 2 fours. Dhawan was dismissed by JP Duminy, when he hit a full toss to Behardien. Dala then dealt a huge blow as he had Virat Kohli caught by Klaasen for 1. Manish Pandey however made up for his supposedly slow innings in the last match by smashing 79* in 48 balls with 3 sixes and 6 fours. He was aided first by Suresh Raina, who hit 31 off 24 balls with 5 fours, before Phehlukwayo had him caught LBW. 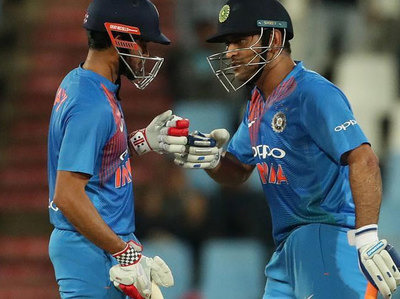 Pandey added 98 runs with MS Dhoni for the 5th wicket, as the duo first stabilized the innings and then went after the South African bowlers, as Dhoni smashed his second T20I fifty in just 27 balls. 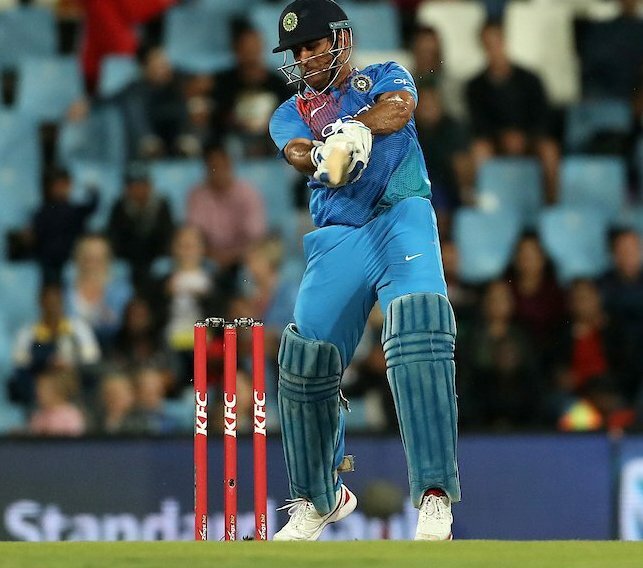 Dhoni ended up 52* off 28 balls with 3 sixes and 4 fours. India ended up making 188/4 in 20 overs. Junior Dala was the best bowler for the Proteas with figures of 2/28 from 4 overs. South Africa started their chase with good intentions with Hendricks making 26 in 17 balls with 5 fours, despite Smuts failing once again, caught by Raina off Unadkat for 2. However, it was Heinrich Klaasen’s brutal 69 off 30 balls with 3 fours and 7 sixes. He demolished Yuzvendra Chahal who went for 64 runs in his 4 overs and got hit for 7 sixes in total. His innings, combined with a unbeaten half century by captain JP Duminy took South Africa to a well deserved victory in the second T20I of the series. 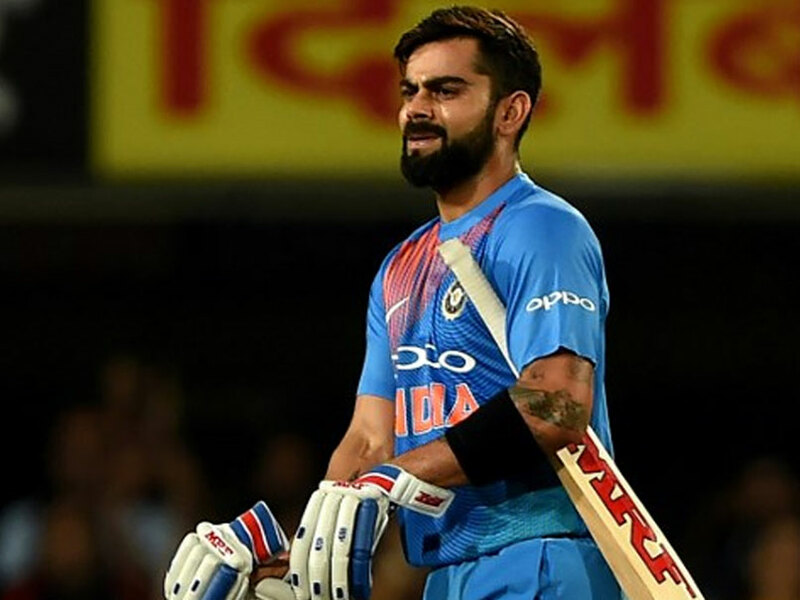 It was India’s game until Duminy’s gamble of sending it Klaasen ahead of David Miller worked for South Africa and Virat Kohli’s helplessness of having to bowl four full overs of Chahal, hurt India a lot. JP Duminy remained not out on 64 off 40 balls and hit two back to back sixes to win the match by 6 wickets. The next and final T20I match will be played on Cape Town on 24th February.